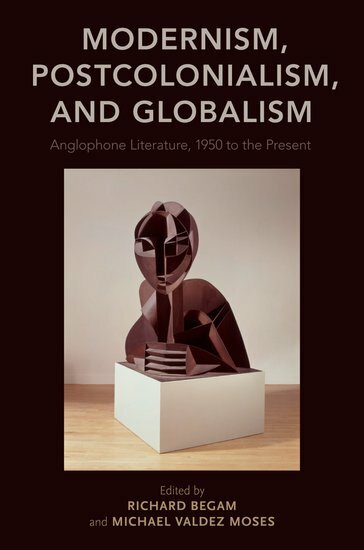 Modernism, Postcolonialism, and Globalism: Anglophone Literature, 1950 to the Present, co-editor with Michael Valdez Moses (Oxford University Press, 2019). Modernism and Opera, co-editor with Matthew Wilson Smith (Johns Hopkins University Press, 2016). Finalist for the 2017 Modernist Studies Association Prize for an Edition, Anthology, or Essay Collection. 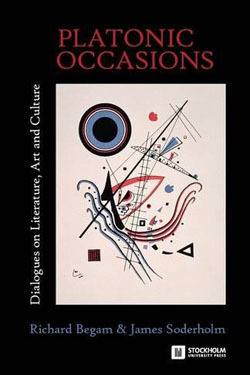 Platonic Occasions: Dialogues on Literature, Art, and Culture, co-author with James Soderholm (Stockholm University Press, 2015). Text and Meaning: Literary Discourse and Beyond, co-editor with Dieter Stein (Düsseldorf University Press, 2010). Modernism and Colonialism: British and Irish Literature, 1899-1939, co-editor with Michael Valdez Moses (Duke University Press, 2007). 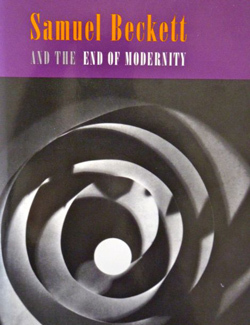 Samuel Beckett and the End of Modernity (Stanford University Press, 1996). “Modernism After Poststructuralism: Or, Does Badiou Save Us From Drowning?” Modernism/modernity. Forthcoming 2020. “From Automaton to Autonomy: Mechanical Reproduction in Fritz Lang’s Metropolis.” In Modernist Cinema (Oxford University Press, forthcoming 2019). “Rushdie and the Art of Modernism.” In Modernism, Postcolonialism, and Globalism (Oxford University Press, 2019). “Schoenberg, Modernism and Degeneracy.” In Modernism and Opera (Johns Hopkins University Press, 2016). “How To Do Nothing with Words, or Waiting for Godot as Performativity.” In Reading Modern Drama (University of Toronto Press, 2012). “Games Modernists Play: Performativity in Beckett’s Endgame.” In Text and Meaning: Literary Discourse and Beyond (Düsseldorf University Press, 2010). “Joyce’s Trojan Horse: Ulysses, Modernism and the Aesthetics of Decolonization.” In Modernism and Colonialism: British and Irish Literature, 1899-1939 (Duke University Press 2007). “Beckett’s Kinetic Aesthetics.” Journal of Beckett Studies 16.1 & 2 (2006/7). Achebe’s Sense of an Ending: History and Tragedy in Things Fall Apart.” In Modern Critical Interpretations: Chinua Achebe’s ‘Things Fall Apart’, ed. Harold Bloom (Chelsea House, 2002). “Beckett and Postfoundationalism, or How Fundamental Are Those Fundamental Sounds?” In Beckett and Philosophy. Ed. Richard Lane (New York: Palgrave, 2002). “Making Modernism Matter.” Clio 30.1 (2000). Beckett’s Philosophical Levity traces Samuel Beckett’s engagement with a variety of philosophical thinkers and systems. Chapters include: “Philosophical Trepidations” (Descartes, Kant, Nietzsche, Heidegger, Wittgenstein, and Beckett’s “Philosophical Notebook”); “Embodied Aesthetics” (Sade, Kant, Schopenhauer, and Murphy); “Antihumanism” (Descartes, Sartre, Heidegger and the Trilogy and Texts for Nothing); “Performativity” (Austin, Derrida, and Waiting for Godot); “Language Games” (Wittgenstein, Mauthner, Adorno, Cavell, and Endgame); “Speech and Writing” (Descartes, Husserl, Derrida, and the late fiction, drama, and radio plays); “Contemporary French Philosophy” (Beckett’s influence on Foucault, Derrida, Deleuze, Guattari, and Badiou). Modernism’s Odyssey argues that Ulysses not only serves as an example of modernism, but also offers a theory of it. Situating Joyce’s masterpiece within the broader field of modernist studies, this study divides itself into three sections. The first section considers Ulysses in relation to modernism in music (Busoni and Schoenberg’s atonality), the visual arts (cubism, surrealism and collage), psychology (Weininger, Krafft-Ebing, Freud and Ellis) and philosophy (Nietzsche, Bergson and Mauthner); the second section examines how writers like Eliot, Pound, Lewis, Woolf and Barnes responded to the novel; and the third section reads Joyce alongside contemporary poststructuralist theory, especially Jacques Derrida. Richard Begam (co-editor with Michael Valdez Moses). Modernism, Postcolonialism, and Globalism: Anglophone Literature, 1950 to the Present. Oxford University Press, 2019. As England withdrew from its empire after World War II, how did writers living outside the United Kingdom respond to the history of colonialism and the aesthetics of modernism within a global context? In fourteen original essays, edited by Richard Begam and Michael Valdez Moses, a distinguished group of scholars considers these questions in relation to novelists, playwrights, and poets living in English-speaking countries around the world. Modernism, Postcolonialism, and Globalism not only examines how modernism and postcolonialism evolved over several generations, but also situates the writers analyzed in terms of canonical realignments inspired by the New Modernist Studies and an array of emerging methodologies and approaches. While this volume highlights social and political questions connected with the end of empire, it also considers the aesthetics of postcolonialism, detailing how writers drew upon, responded to and, sometimes reacted against, the formal innovations of modernism. Many of the essays consider the influence modernist artists and movements exercised on postcolonial writers, from W. B. Yeats, Joseph Conrad, Franz Kafka, Marcel Proust, James Joyce, T. S. Eliot, and Virginia Woolf to Impressionism, Expressionism, Surrealism, and Abstractionism. Modernism, Postcolonialism, and Globalism is organized around six geographic locales and includes essays on Africa (Chinua Achebe, Ngugi wa Thiong’o, Nadine Gordimer, J. M. Coetzee), Asia (Salman Rushdie, Arundhati Roy), the Caribbean (Jean Rhys, Derek Walcott, V. S. Naipaul), Ireland (Samuel Beckett, Seamus Heaney), Australia/New Zealand (David Malouf, Keri Hulme) and Canada (Michael Ondaatje). Examining how Anglophone writers engaged with the literary, intellectual, and cultural heritage of modernism, this volume offers a vital and distinctive intervention in ongoing discussions of modern and contemporary literature. Contributors include: Genevieve Abravanel, Nicholas Allen, Deepika Bahri, Rita Barnard, Richard Begam, Alice Brittan, Simon During, Andrzej Gąsiorek, Nico Israel, Brian May, Michael Valdez Moses, Brigid Rooney, Philip Steer and Mark Wollaeger. Richard Begam (co-editor with Matthew Wilson Smith). Modernism and Opera. Johns Hopkins University Press, 2016. At first glance, modernism and opera may seem like strange bedfellows—the former hostile to sentiment, the latter wearing its heart on its sleeve. And yet these apparent opposites attract: many operas are aesthetically avant-garde, politically subversive, and socially transgressive. From the proto-modernist strains of Richard Wagner’s Parsifal through the twenty-first-century modernism of Kaija Saariaho’s L’amour de loin, the duet between modernism and opera, at turns harmonious and dissonant, has been one of the central artistic events of modernity. Despite this centrality, scholars of modernist literature only rarely venture into opera, and music scholars generally return the favor by leaving literature to one side. But opera, that grand cauldron of the arts, demands that scholars, too, share the stage with one another. 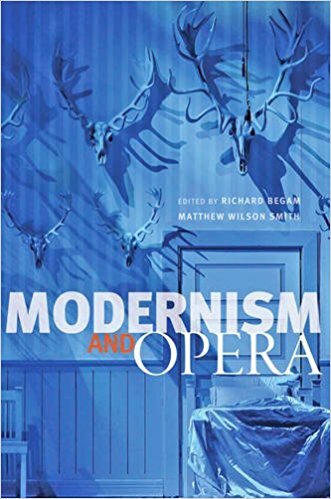 In Modernism and Opera, Richard Begam and Matthew Wilson Smith bring together musicologists, literary critics, and theater scholars for the first time in a mutual endeavor to trace certain key moments in the history of modernism and opera. This innovative volume includes essays from some of the most notable scholars in their fields and covers works as diverse as Debussy’s Pelléas et Mélisande, Bartók’s Bluebeard’s Castle, Berg’s Wozzeck, Janáček’sMakropulos Case, Thomson’s Four Saints in Three Acts, Strauss’sArabella, Schoenberg’s Moses und Aron, Stravinsky’s The Rake’s Progress, Britten’s Gloriana, and Messiaen’s Saint François d’Assise. A collaborative study of the ultimate collaborative art form,Modernism and Opera reveals how modernism and opera illuminate each other and, more generally, the culture of the twentieth century. It also addresses a number of issues crucial for understanding the relation between modernism and opera, focusing in particular on intermediality (how modernism integrates music, literature, and drama into opera) and anti-theatricality (how opera responds to modernism’s apparent antipathy to theatricality). This captivating book—the first of its kind—will appeal to scholars of literature, music, theater, and modernity as well as to sophisticated opera lovers everywhere. Richard Begam (co-author with James Soderholm). Platonic Occasions: Dialogues on Literature, Art and Culture. Stockholm University Press, 2015. In Platonic Occasions, Richard Begam & James Soderholm reflect upon a wide range of thinkers, writers and ideas from Plato, Descartes and Nietzsche to Shakespeare, the Romantics and the Moderns—from Evil, Love and Death to Art, Memory and Mimesis. 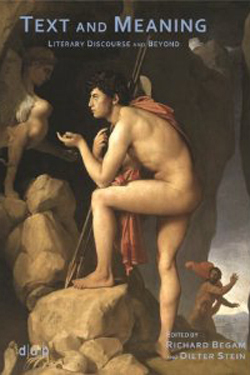 The dialogues suggest that Percy Shelley was right when he claimed “We are all Greeks,” and yet what have we learned about the initiatives of culture and literature since our classical predecessors? Begam & Soderholm’s ten dialogues function as a series of dual-meditations that take Plato as an intellectual godfather while presenting a new form of dialogic knowledge based on the friction and frisson of two minds contending, inventing and improvising. The authors discuss not only what is healthy and vigorous about Western culture but also consider where that culture is in retreat, as they seek to understand the legacy of the Enlightenment and its relation to the contemporary moment. Platonic Occasions is an experiment in criticism that enjoins the reader to imagine what the dialogic imagination can do when inspired by Platonic inquiry, but not bound by a single master and the singular mind. 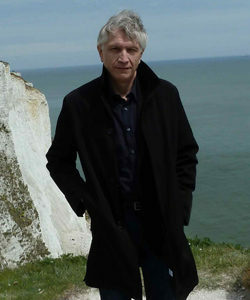 Richard Begam (co-editor with Dieter Stein), Dieter Stein. Text and Meaning: Literary Discourse and Beyond. Düsseldorf University Press, 2010. As the “Theory Wars” of the late twentieth century have subsided and as literary critics increasingly practice a pluralism that combines formal analysis with history, philosophy and aesthetics, the moment has come to reconsider two of the most basic concepts of literary interpretation: “text” and “meaning.” In doing so, the present volume addresses a number of fundamental questions: Where do we locate the material, linguistic and cultural boundaries of a text? What role is played in the establishment of meaning by intention, production, and reception? Does the meaning or significance of a text—whether literary or non-literary—change over time, and if so how? The essays that constitute this volume are organized into five parts. “British and Irish Literature,” “American Literature” and “German Literature” approach “text and meaning” from historical and theoretical perspectives, interrogating the ways in which these concepts have evolved from the Middle Ages to the present, while examining how they operate within given literary periods. “Textuality and the Visual Arts” moves beyond traditional notions of textuality to include image and text, as well as the dynamic that exists between the two. Finally, “Linguistics, Philosophy and Interpretation,” seeks to define the theoretical assumptions that inform how we construe meaning and to establish principles of validation within the realm of interpretation. Topics covered include everything from Medieval literature and art, Renaissance drama, eighteenth- and nineteenth-century English and American literature to modern and contemporary literature and art, German literature, the visual arts, philosophy and linguistics. Richard Begam (co-editor with Michael Valdez Moses). Modernism and Colonialism: British and Irish Literature, 1899-1939. Duke University Press, 2007. 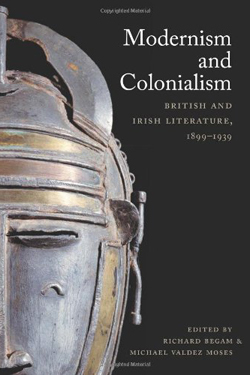 This collection of essays by renowned literary scholars offers a sustained and comprehensive account of the relation of British and Irish literary modernism to colonialism. Bringing postcolonial studies into dialogue with modernist studies, the contributors move beyond depoliticized appreciations of modernist aesthetics as well as the dismissal of literary modernism as irredeemably complicit in the evils of colonialism. They demonstrate that the modernists were not unapologetic supporters of empire. Many were avowedly and vociferously opposed to colonialism, and all of the writers considered in this volume were concerned with the political and cultural significance of colonialism, including its negative consequences for both the colonizer and the colonized. Ranging over poetry, fiction, and criticism, the essays provide fresh appraisals of Joseph Conrad, T. S. Eliot, Ezra Pound, Virginia Woolf, D. H. Lawrence, Wyndham Lewis, E. M. Forster, W. B. Yeats, James Joyce, Elizabeth Bowen, Hugh MacDiarmid, and Evelyn Waugh, as well as Robert Louis Stevenson and H. Rider Haggard. The essays that bookend the collection connect the modernists to their Victorian precursors, to postwar literary critics, and to postcolonial poets. The rest treat major works written or published between 1899 and 1939, the boom years of literary modernism and the period during which the British empire reached its greatest geographic expanse. Among the essays are explorations of how primitivism figured in the fiction of Lawrence and Lewis; how, in Ulysses, Joyce used modernist techniques toward anticolonial ends; and how British imperialism inspired Conrad, Woolf, and Eliot to seek new aesthetic forms appropriate to the sense of dislocation they associated with empire. Contributors include Nicholas Allen, Rita Barnard, Richard Begam, Nicholas Daly, Maria DiBattista, Ian Duncan, Jed Esty, Andrzej Gąsiorek, Declan Kiberd, Brian May, Michael Valdez Moses, Jahan Ramazani, Vincent Sherry. Richard Begam. Samuel Beckett and the End of Modernity. Stanford University Press, 1996. Samuel Beckett and the End of Modernity situates Beckett in relation to a postmodern philosophical intervention that is defined by Friedrich Nietzsche, Ludwig Wittgenstein and Martin Heidegger, and a modernist literary tradition that is represented by Marcel Proust and James Joyce. Arguing against the tendency to treat the postmodern as the mere negation of Enlightenment thinking—a form of “overcoming” in which the modern is replaced by the antimodern—Begam proposes an approach that is based more on “différance” than antithesis. Especially important in this regard is Derrida’s claim that there is never “any question of choosing” between modernity (“Western metaphysics”) and a term of opposition (the “overcoming” of metaphysics). Rather, Derrida recommends what he calls a “new writing” that simultaneously coordinates two modes of deconstruction, at once working critically within the tradition and projecting itself imaginatively beyond that tradition. The pentalogy offers an extended application of this “new writing” some twenty years before the advent of poststructuralism.